Home / CULTURE & ARTS / This Man Married A HOLOGRAM?! This Man Married A HOLOGRAM?! I now pronounce you beep and boop. So how does a relationship with Miku work? 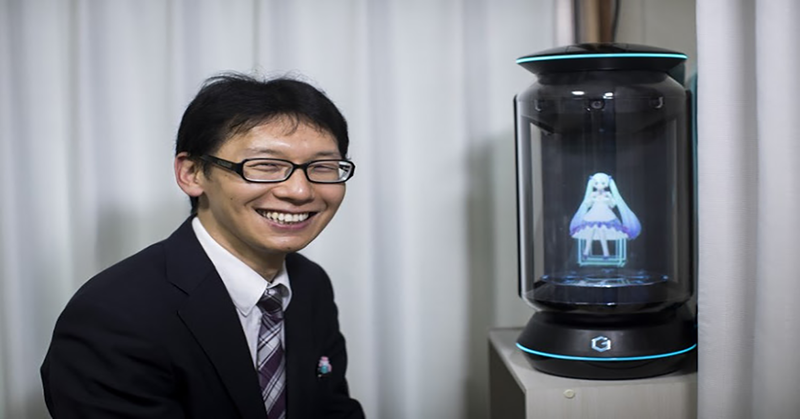 This Hologram wife wakes him up each morning and sends him off to his job. In the evening when he texts her coming home she turns on the lights. Later she tells him when it’s time to go to bed. For men in Japan, this feeling is not uncommon . According to the Japan times, 1 in 4 men, 1 in 7 women in Japan still unmarried at age 50. And according to the National Institute of Population and Social Security Research this statistic hit a record 23.37% for men which was up 3.23 percentage points from the previous survey in 2010. Experts attribute the statistic to lower social pressures and a nationwide low birthrate. The article also notes that an unstable unemployment rate is also dissuading men and women from being able to raise children. And with these stats Kondo is not the only one choosing to wed AI. Kondo is hoping his public marriage will encourage others to do the same. 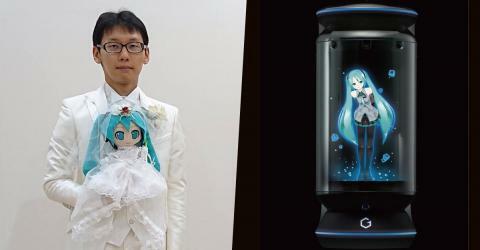 Around 40 guests attended Kondo and Miku’s wedding, but one guest who wasn’t in attendance… Kondo’s mom. Kondo said: “For mother, it wasn’t something to celebrate.” The marriage does not hold legal standing, but that doesn’t bother him.